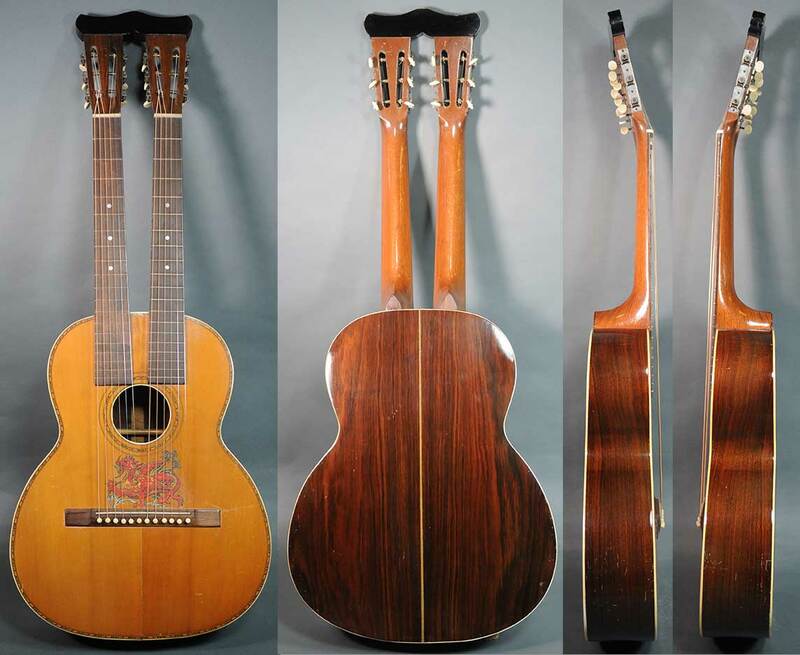 A design that started as a harp guitar c. 1900. 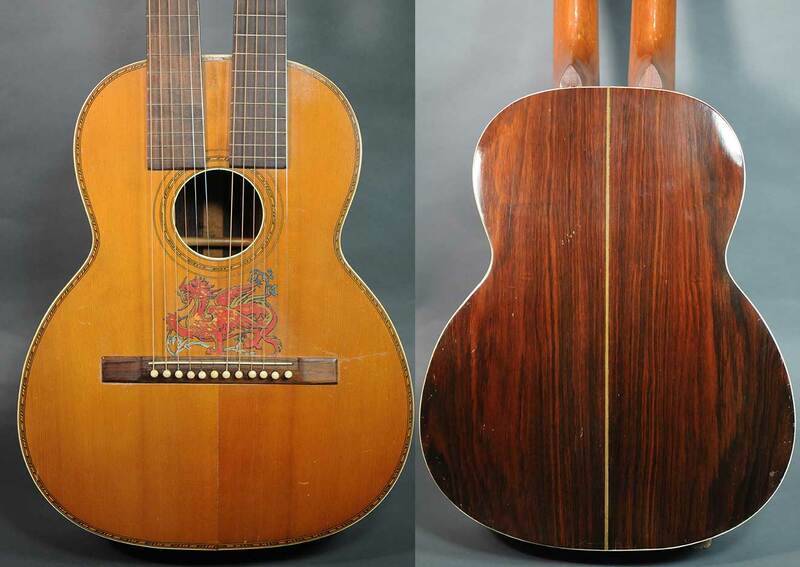 By the 1920s, with harp guitars no longer sought after and a new found interest in Hawaiian music, this one left the factory as a double neck Hawaiian guitar. 16-1/4″ lower bout, ladder braced spruce top, rosewood back and sides, two Spanish cedar necks with dyed pearwood fretboards, rosewood bridge, dragon decal on top.